Toys can be powerful tools for illustrating a variety of situations and emotions. In this gallery, they are the protagonists and invite the viewer into their world. I took this photograph to refresh my skills, experiment with bokeh filters, and provide an example for my new article on this technique. 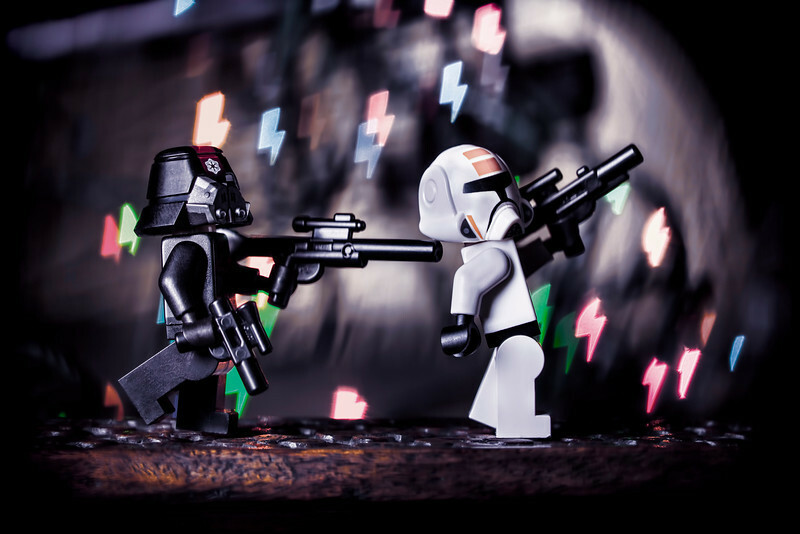 When I found these Lego miniatures and was inspired and after arranging the miniatures in a variety of poses I get this photo. Do you like this photo? Get Your Print or Download it as a wallpaper. I discovered this miniature tank, a model of an MBT Ariete from the Italian army. I had always wanted to try a shoot with tanks and firecrackers, so I decided this was the time. 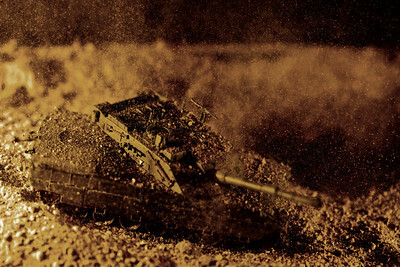 The original idea was to shoot the tank with a small explosion from behind, but the blast was extremely large and sent sand flying all around. Do you like this photo? Get Your Print. I want to start my 2011 shoots with something uniquely mine, so I decided to go back to my roots. 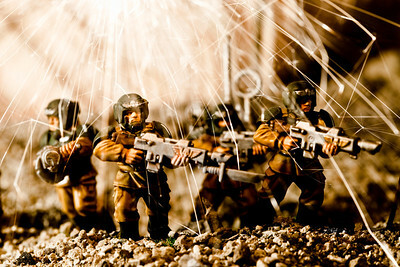 I cleaned up these Warhammer 40K miniatures for a shoot. This image transports you to a time in the future, where a night battle is raging. Do you like this photo? Get Your Print. I took this photograph to refresh my skills, experiment with bokeh filters, and provide an example for my new article on this technique. 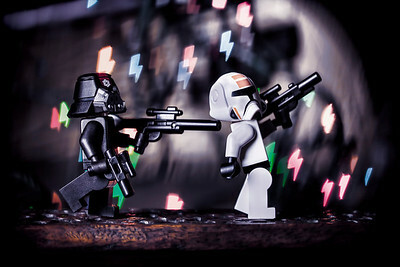 When I found these Lego miniatures and was inspired and after arranging the miniatures in a variety of poses I get this photo.